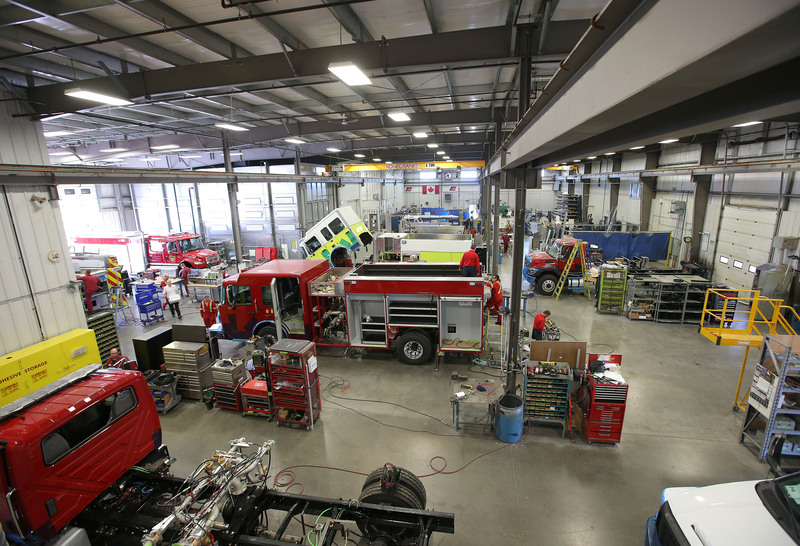 Fort Garry Fire Truck specializes in building fire trucks and other related fire fighting equipment for customers throughout Canada, the US and abroad. FGFT’s new facility is a 43,792 sq.ft. building, with a 4,335 sg.ft. mezzanine. 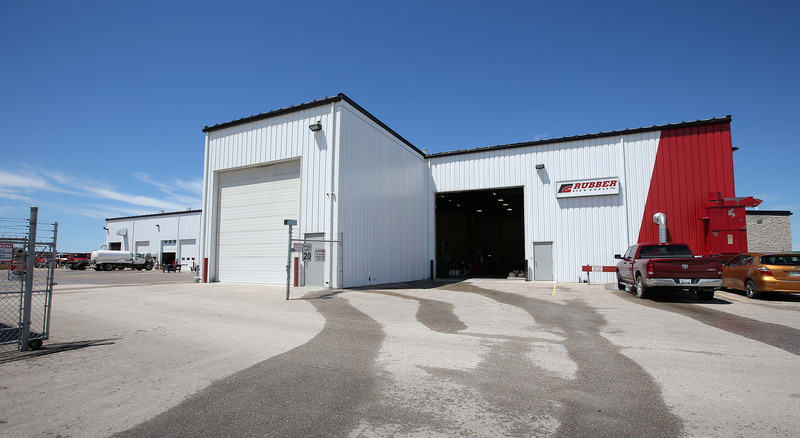 Along with the manufacturing, assembly and rubber bays, the building includes a two storey office, new truck display, washbay, service bays, and a custom sandblast room. For painting and prepping the trucks, a new self sustained paint booth was also installed for the customer. Due to the overall building square footage, we were required to install a sprinkler system along with a 60,000 gallon retention pond on the property to feed it. The exterior finishes include Tyndall stone, AD300 panels, stainless steel features and various profiles of metal cladding. 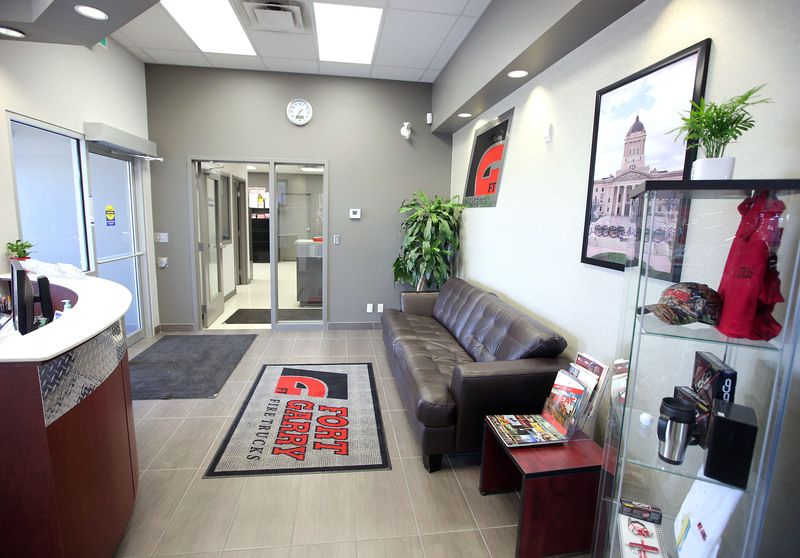 Building construction includes a Behlen pre-engineered steel structure and wood framed office construction.